For over a decade, pork roast at our house was restricted to New Year's Day . . . this classic dish promises luck. But it's such an easy, versatile roast to prepare that I make it regularly now. Of course, I always have leftovers that are perfect in the beginning of the week for weeknight meals such as Pork Enchilada Soup. A handful of ingredients make this absolutely luscious! When possible, I use fresh rosemary from my garden. This year was mild and the rosemary continued to bloom into January! When you are buying the pork roast, you'll find several options. There really isn't a right or wrong to this. I tend to buy what's on sale and when it is on sale, I buy several and toss the extra into the freezer. You want some marbling, as this is what makes it juicy and succulent. 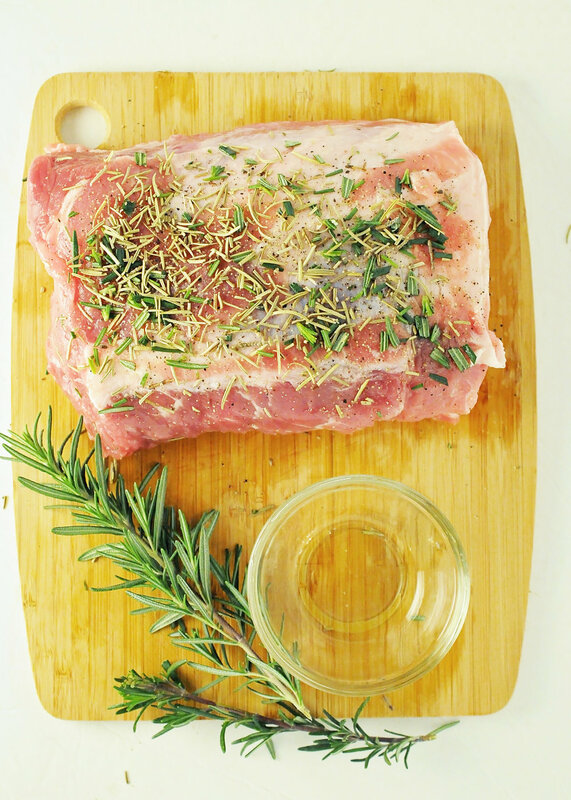 To prepare, coat with olive oil and press either dried or fresh rosemary onto it. Be generous with the salt and pepper as this is going to create your outside crust. Now the big secret to a juicy roast is to sear it in a hot pan over high heat on each side. Once seared, put into a baking dish and roast uncovered at 350 for approximately 30 minutes per pound. I love to serve this with mashed potatoes or rosemary potatoes and what else, sauerkraut.